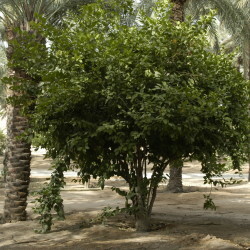 This variety of the lemon tree is also known locally as trunj, and is probably the hybrid named 'Ponderosa': it is often seen on farms in the Riyadh region. It is, however, relatively frost-tender and the trees may be damaged by drying winds or prolonged cold. 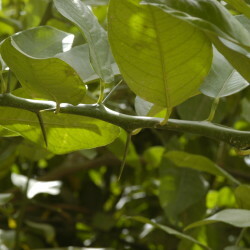 Bearing highly ornamental fruit of extraordinary size of more than 20 cm, twigs may be bent down by the weight of many huge lemons. 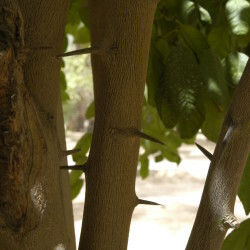 The tree grows fast up to 3 metres high, bears fruit early and has an angular shape with large leaves. 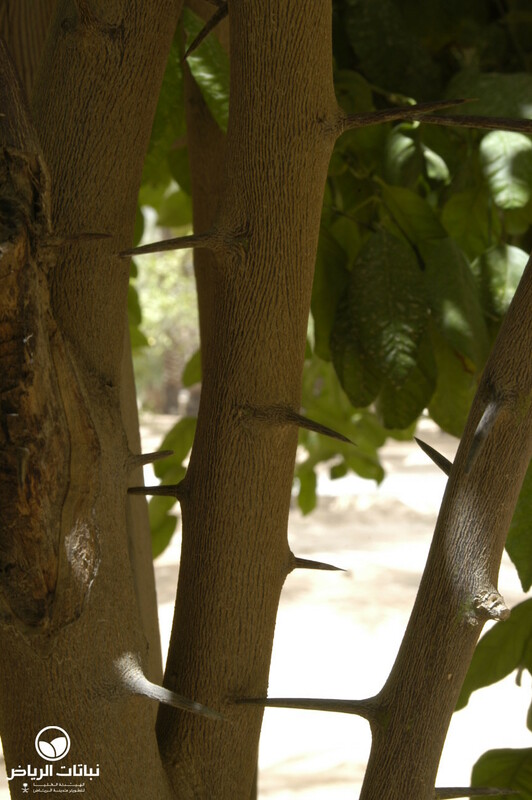 It can be trained on a trellis to stabilise the branches and to prevent damage. Young plants are delicate and cannot compete with weeds. 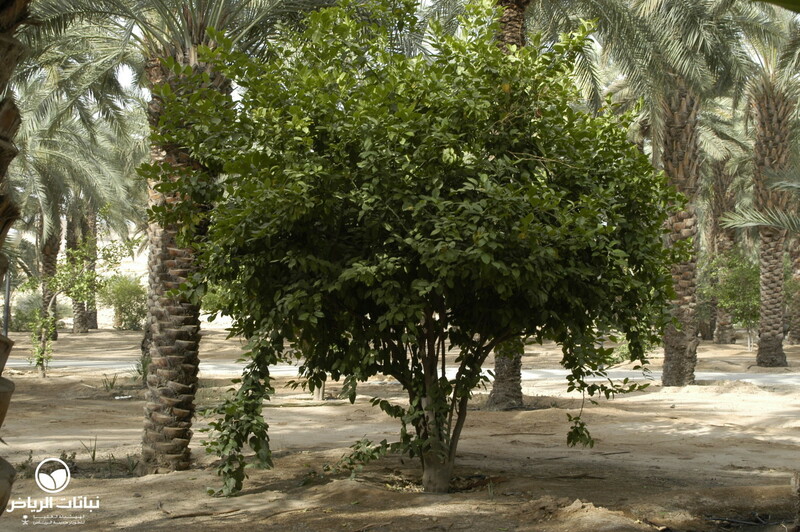 'Trunj' requires a well-drained, sandy and fertile soil, with regular watering until established. Complete NPK fertilisers should be applied in early spring. 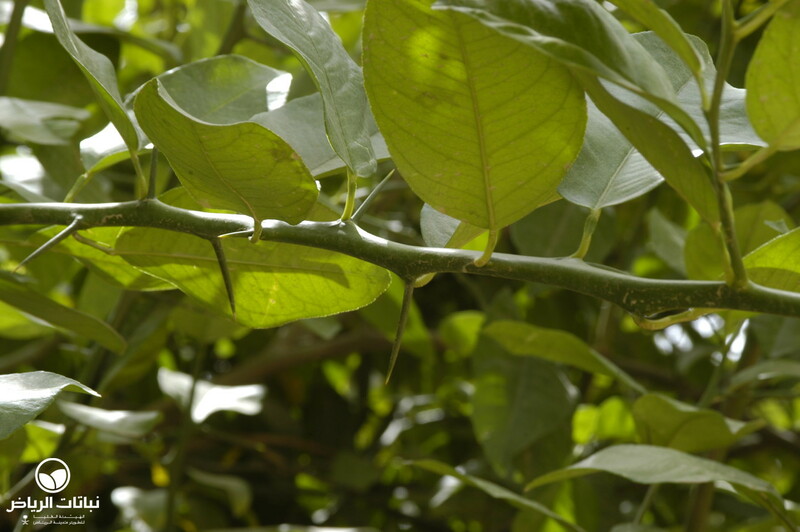 Citrus trees have the attractive tropical feature of producing flowers and fruit at the same time. 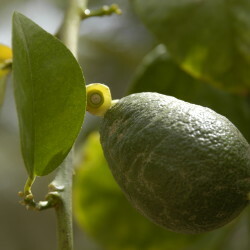 The fruit does not have any particular commercial value, but the non-acid lemons have a thick, bumpy rind that can be used for producing jam. The rind is low in essential oils, but gives off an aromatic scent and is sometimes candied or preserved in brine. Pruning should be limited to removing water sprouts, usually the result of severe cutting back of the branches of older trees. Most of these shoots are short-lived anyway and leave unsightly sticks on the branches. Deadwood might be provoked by prolonged drought or waterlogging. 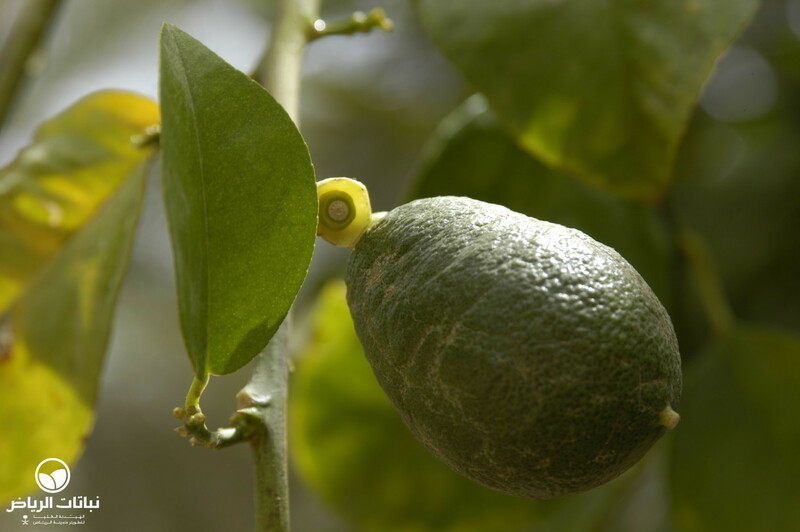 Like all citrus, the trees suffer from attacks by mealybugs, aphids and often have mildew.